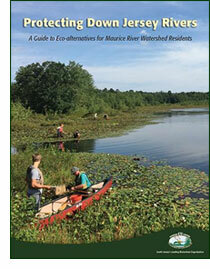 Karla’s presentation will unveil our new stewardship guide. She will explore the effect that poor land-use practices are having on environmental and community health in the Maurice River Watershed, and discuss some simple best-management practices that you can implement at home. Join us to receive your free copy of the program’s brochure, Protecting Down Jersey Rivers: A guide to eco-friendly management alternatives, and learn how your stewardship efforts can be recognized officially through CU Maurice River’s 2017 Eco-Friendly Property Certification Program. CU Maurice River has once again been selected by Stony Brook-Millstone Watershed Association to receive a grant to continue its Watershed Stewards Program, which will be expanded to include businesses and large tract property owners. Jessica Franzini joined the NJ Tree Foundation (NJTF) in 2009. 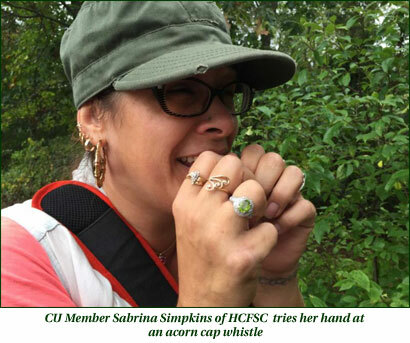 She coordinates NJTF’s Urban Airshed Reforestation Program, a community-based tree planting effort that’s been operating in Camden City for 14 years. The program is now expanding to other communities of South Jersey. 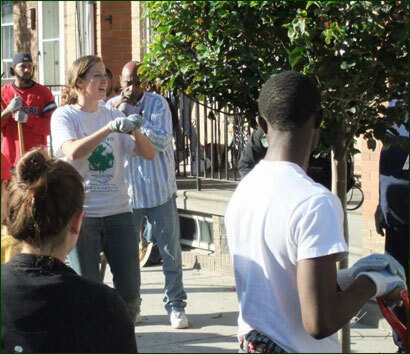 Jessica facilitates Camden TreeKeepers, a series of educational workshops for neighborhood residents. Planting trees in urban communities and throughout New Jersey is a team effort. Volunteers work hard to help the NJTF place hundreds of trees each year. Recipients provide loving care to help achieve an amazing 95% tree survival rate. The plantings make a positive impact on people and communities for many years. Camden Mayor Dana Redd recognized Jessica as a “Woman of Purpose” in 2011, and Campbell Soup awarded her their Hometown Hero Award in 2014 for her years of service in Camden. Jessica will share her experience in urban greening projects, the importance of trees for a healthy environment and community, and tips on backyard tree care. At the meeting, we will tell participants how they can get their very own NJTF native tree(s) through CU Maurice River’s Watershed Stewards Program. Look for our calendar of events online; there you can access and print an updated pdf copy of the document that is attached to this newsletter. During the winter months when mild weather is predicted we sometimes have impromptu excursions, so please continue to check email announcements. January 21st at 10 a.m. we will kick off the 2017 walks on the Eagle Trail at Turkey Point. This walk remains an after-holiday favorite. We will celebrate the site that released the original hacked eagles into NJ, beginning what would become a wonderful success story. Likely leaders are Tony Klock, Mary Watkins, Jane Morton Galetto, Christine Brown, and Sue Fenili. We hope you will also join us at The Landing in Newport afterwards for lunch! The planning has just begun for the Eagle Festival. Based on past years we anticipate that there will be five staffed viewing sites open throughout the day. 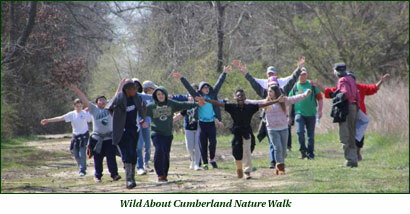 The Nature Conservancy, The Natural Lands Trust, and NJ Audubon will lead walks. The indoor portion of the festival will be held at the Mauricetown Fire Hall, and will include interesting talks on related topics as well as wildlife presentations. Visitors will also have a chance to see displays, local art, and merchandise from many different organizations and vendors. Crab cake and fried oyster sandwiches, along with other goodies, will be on sale throughout the day. Tickets are $10 for adults and $5 for children 12 and under, paid at the door. Volunteers are needed for 2-3 hour shifts at our information table. Please contact Doreen at 856-300-5331 or email her at Doreen.Homan@cumauriceriver.org if you would like to help out. If you are interested in assisting with the outdoor viewing sites please let us know. NJ Audubon will be coordinating the outdoor stations, and we will pass your name and contact information along to them for scheduling. Join Jane Morton Galetto for a special Valentine’s special: Turtle Love. 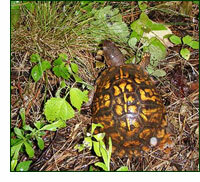 Have fun learning about the natural history of box turtles. Adults only? This year we will be holding CU Saturdays where we meet at the office at 9am and venture to a variety of natural areas. February 18th, 2017 will kick off these travels. We will be heading to Edwin B. Forsythe National Wildlife Refuge in Oceanville, NJ to the Wildlife Drive to view waterfowl and raptors. It is our understanding that the recent restoration project at Forsythe will have been completed in time for our visit. If not we will go to the PSEG restoration site in Commercial Township. RSVP to Karla.Rossini@cumauriceriver.org or call the office staff at 856-300-5331. Tuesday, February 21, 2017 will mark our first Tuesday on the Fly for 2017. We will go to the Vineland Historical Society to learn about what they have happening. There is a $2.00 entrance fee per visitor. RSVPs are required in advance. Contact Karla.Rossini@cumauriceriver.org or call the office staff at 856-300-5331. To be held at Winfield’s Restaurant (upstairs) in Millville from 6:30 pm -7:45 pm. This program is open to the public. If you would like to eat before or after the presentation, select one of two time slots – 5 pm or 7:45. Reservations with the restaurant are necessary. Adult beverages can be purchased during the presentation. Non-members’ suggested donation is $25. Victor Emanuel Nature Tours – VENT You can begin reserving your spot on the tour of your choice. The trip with the most CU Maurice River members at this point is Ecuador: The Northwestern Andean Slopes. It runs November 11-19, 2017 – (with a pre-trip option November 7-12). Explore the details with these links: pre-trip or main trip. So far three people are taking advantage of the pre-trip option. CU President Jane Morton Galetto and her husband Peter plan to go on this excursion and hope that many of you will join them. Call at 1-800-328-8368 to hold your spot on any tour. Simply tell them CU Maurice River has referred you and they will make a special donation to the organization. The Southern Arizona trip also generated interest. This trip, called Avian Jewels of Arizona, takes place July 17-25, 2017. For details use this link. Arizona is a long-time favorite of VENT and it is sure to please. We urge you to make a deposit to hold your spot on the tour of your choice. The deposit for domestic trips is $300; for international trips it is $500. You can email Jane at forrivers@comcast.net for a short paragraph provided by VENT on their deposit policies. 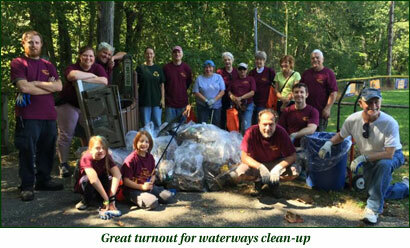 March 18th Walk and Clean Up Maurice River Bicycle and Walking Trail, held in conjunction with the Cumberland County Improvement Authority’s county-wide trash hunt. Meet at Waltman Park at 9:00 for the clean-up. Please wear protective gloves, and calf-high boots if you have them. 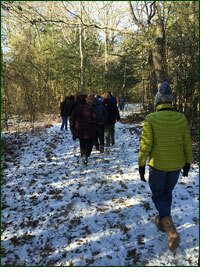 On Tuesday, March 28th our Tuesday on the Fly takes us to a hike at The Nature Conservancy Bluff Preserve in Millville. RSVP to Karla.Rossini@cumauriceriver.org or call the office staff at 856-300-5331. 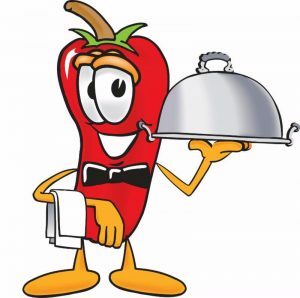 Chefs are needed for chili, appetizers, cornbread, and brownies/cookies, as well as volunteers for kitchen and setup/cleanup help. Please donate auction items. Perhaps you are able to host an experience-oriented excursion? 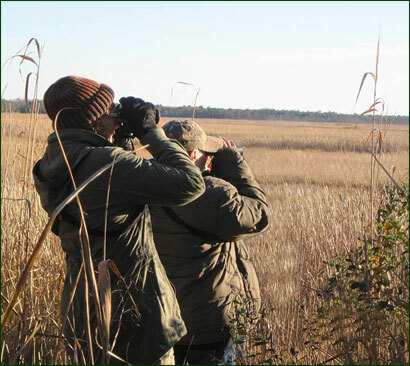 Previously such offerings have included eagle and osprey banding, dolphin watches, fishing trips, history tours, vacation accommodations, and Pine Barrens plant excursions and other natural and cultural history outings. We would also love to offer additional vacation house opportunities. If you know of sponsors or would like to sponsor the event please let us know. To donate an auction item or a sponsorship, contact Jane at 856-327-1161 or forrivers@comcast.net. On October 7th 2016, Chris Smith, biologist for NJ Fish and Wildlife, sampled for fish at the WheatonArts Pond. 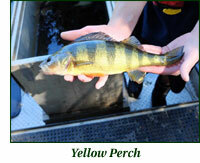 Species present included large mouth bass, chain pickerel, yellow perch, gambusia (mosquitofish), brown bullhead catfish, bluegill and pumpkinseed sunfish. This is part of an ongoing effort to identify the biota at WheatonArts in conjunction with our trail management project. East Coast Excavation’s team, lead by owner Fred Kruger, has leveled the trail where the railroad ties had left uneven terrain. They also completed the trail’s loop and distributed stone. Dunrite Sand and Gravel donated stone to match up the loop with the original rail-to-trail bed. Ralph DiPalma of ED Builders made small dump truck loads so as not to disturb the flora adjacent to the trail. We thank the construction community for their help with this task. Allen Jackson has delivered CU birdseed to the viewing stations set up at WheatonArts and the Guidance Center. He has also cleaned out nesting boxes so that in the spring these will be ready to accommodate new tenants. We have attended the first of three workshops giving input on the Comprehensive Conservation & Management Plan for the Delaware Estuary (CCMP). The Partnership for the Delaware Estuary is gathering information and perspectives from the tri-state area Bay region stakeholders to ultimately update the CCMP. CU Maurice River is sharing its experience in conservation and advocacy as well as its current watershed outreach and education outlook. The first workshop on Water Quality was held in Trenton on 11/17. Upcoming workshops are Healthy Communities (12/8) at Cumberland County College, and Healthy Habitat (1/9/17) at PSEG, Salem. NJ Council of Watershed Associations Meeting December 1st – CU Maurice River participated in this meeting where organizations shared their experiences with outreach to businesses and their information about the effects of this year’s drought, among other topics. There was a vote to demand the release of NJ’s Water Supply Plan from the governor. CU Maurice River voted in favor of writing and publishing the letter and will send a copy of it out through our email list. The Congressional Summit with Congressman LoBiondo was held Tuesday, October 11th, at WheatonArts. We discussed many conservation and environmental initiatives currently being considered in DC. Our records indicate that we have been coordinating the summit since June 1998, although originally it was not an annual occurrence. CU was once again instrumental in organizing this gathering. We have led the event at least 11 times since 2010, including the past 7 years. 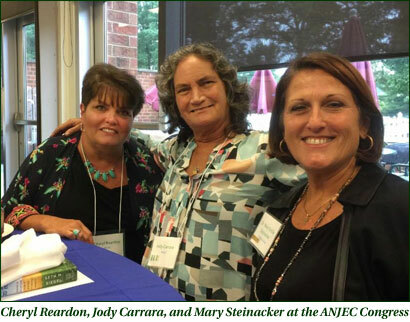 On Friday, October 9th, 2015 Mary Steinacker represented CU in accepting an Honorable Mention at ANJEC’s Environmental Congress. The award was for our Connect with Nature Program at the Cumberland Cape Atlantic YMCA Camp Merrywood. Sue Fenili coordinates our volunteers for this effort. Mary participated a number of times this past summer and was kind enough to attend this event for us. The Congress is a statewide gathering of municipal environmental commissioners, state and local officials, members of New Jersey’s environmental organizations, and others concerned about our state’s environment. The event included workshops, exhibits, speakers, and much more. Mary brought back many materials that should prove helpful to CU Staff and volunteers. Trustee Jody Carrara was also in attendance as part of her job responsibility (and passion) with ANJEC. Watershed Institute Grant – (11/14/16) WI awarded CUMR a $10,000 grant to continue both its resident and business stewards outreach programs, which aim to educate on watershed realities, green infrastructure, and eco-friendly land-management practices. In 2017 CUMR plans to certify homeowners, businesses, and large property owners who make a concerted effort to manage their lands in an eco-friendly manner. Would you like to learn more about how you can be recognized for blue- and/or green-minded property management practices? Contact Karla.Rossini@CUMauriceRiver.org to see how your property or business can be certified as Stream-Friendly, Maurice River Steward, or Eco-Friendly Leader. Century Savings Bank and Kaffe Magnum Opus, Inc. have generously offered to co-sponsor the printing of the CUMR’s Watershed Stewards Brochure. Holly City Development Corporation Grant – (12/5/16) HCDC awarded CUMR with a $10,000 grant to install a Community Wildlife & Serenity Garden on an otherwise vacant lot in Downtown Millville. While urban wildlife gardens provide pollinators, songbirds, and other animals with refuge, they also revitalize communities by providing neighbors with a healthy place to reconnect with nature and with other people by improving visual aesthetics, deepening their understanding of their local ecology, and adding a public area for beneficial outdoor activities. 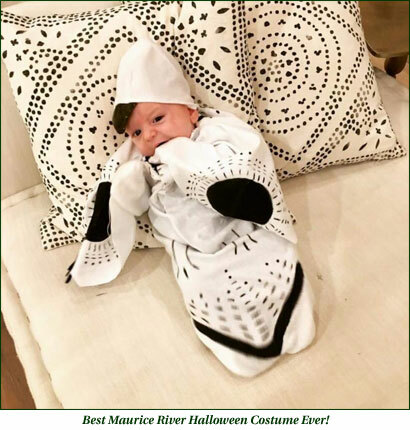 What does our youngest member dress up as for Halloween? 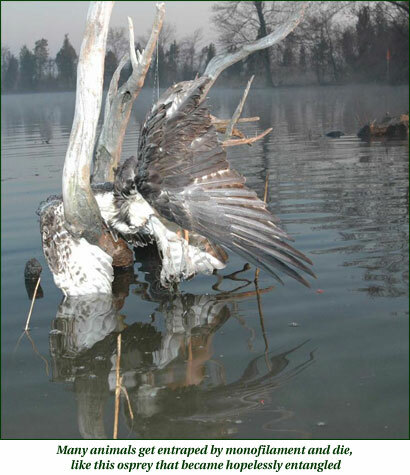 You guessed it – an osprey. Now that’s devotion. Clyde, just two months old, is the son of members Tom (Trustee) and Suzanne Talalaj. 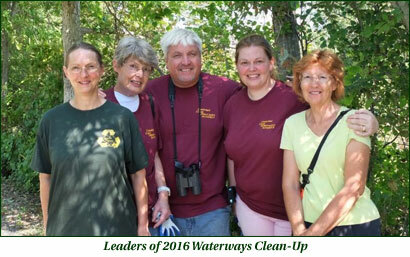 The CCIA Waterways Clean-Up was held Sept. 17. Twenty-five volunteers walked the trail and paddled the river retrieving any litter. The trail was still in good condition from the Trash Hunt in March 2016, so we were able to focus on the harder-to-access areas along the bridges and the hillside close to the baseball fields. The September 17th Greenview Dinner Dance was a success. The band did a great job and the food was excellent. We would like to have a larger turn out for our 2018 dance: please give your ideas to Doreen Homan. The fall of 2017 will be the Winfield’s dinner event; we alternate every other year for these two offerings. CU volunteers Christine Brown and Wendy Walker continue to lead monthly walks for the Holly City Family Success Center at Waltman Park. This coming year our members will be welcome to attend these walks. September 20 was a team day of sorts, with Jane taking a field-trip group to Stockton University for a look at the campus’s approach to green energy, while Karla Rossini presented a Watershed Stewards talk to the Vineland Rotary. Monarch enthusiasts traveled to Cape May for Monarch Mania on Sept. 24th. There Mark Garland conducted a hands-on discovery exercise about the butterflies’ migration and life history. 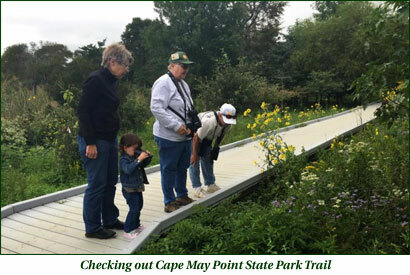 Then the participants took time to picnic and hike in the Cape May Park. In October the film crew of Greener NJ did shoots at Overdevest Nurseries, Sheppard Farms, Sunny Slope, and The Bayshore Center in Bivalve for the Foody Channel, which will air a film about our farming community. Originally we had scheduled an East Vineland farm in the mix but circumstances beyond our control prevented that filming. CU, Cumberland County, and County Agriculture are sponsoring the film to highlight the important cultural role that farming plays in Down Jersey. The October 1st Community Walk Bicycle and Walking Trail Event was successful in spite of foul weather reports. The participants and guides all seemed to enjoy themselves. 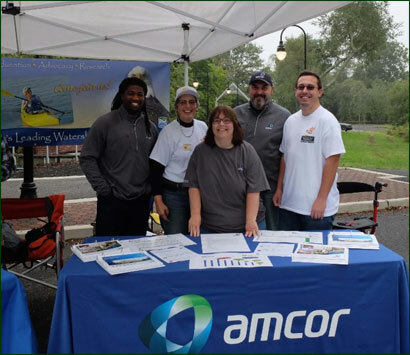 A special thank-you to AMCOR for their sponsorship of the brochure and their fine turnout at the event. Jane Morton Galetto gave presentations to Dallas Lore Sharp – Turtle Show, on Oct. 4th, and to Country Garden Club – Vulture Culture on Oct. 6th. Chilly weather did not discourage the paddlers who came out to see the fall colors on the Union Lake Paddle on Oct. 8th. Much to everyone’s delight the flora along the lake’s edge was abundant with native species. The potluck followed at the Galettos’ home and folks had a fun evening. On October 13th Christopher Obropta of Rutgers Extension program delivered a lively presentation at Winfield’s on stormwater management. October outings were held at Waltman Park Walk on Oct. 22nd and a Tuesday on the Fly trip to Parvin’s State Park on Oct. 25th . This was at the height of autumn leaf splendor. 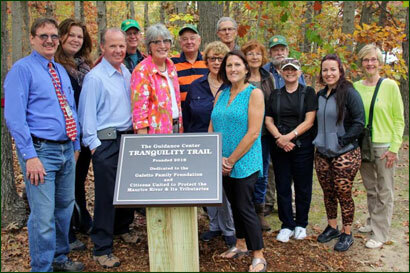 The dedication of the Guidance Center Tranquility Trail, held on November 3rd, was well-attended. CU invited our Trustees and volunteers who had worked on the project, and there were about 18 in our contingent. Also present were the Center’s Trustees and some Center supporters. We all walked about 2/3’s of the trail, and the interactions between the various representatives were most enjoyable. Once again, thank you to all the many volunteers who made this possible. The trail was dedicated to the Galetto Family Foundation and the CU Maurice River organization. On Tuesday on the Fly, November 22nd, we carpooled to Forsythe National Wildlife Refuge and Smithville Inn for lunch. Afterward a small group checked out the KEEP Conservation Preserve on Nacote Creek. The day was sunny and breezy. Folks asked that we return for the reopening of the Wildlife Drive, planned for February 18th. US Coast Guard’s Monofilament Program – Two more volunteers are needed to remove fishing line from recycling containers at popular fishing sites throughout Cumberland County. The task would require driving a couple of hours every three months or so. Please contact Karla.Rossini@cumauriceriver.org if you are interested. On February 4th 2017 – CU Ambassadors/ Representatives will be needed for the Annual Eagle Festival – Our information table will have two-hour shifts for CU Ambassadors/Representatives. Please contact doreen.homan@cumauriceriver.org or call 856-300-5331 if you can help out. See earlier entry for details. March 17th 2017 6-9 p.m. CU Ambassadors are needed for River Renaissance Center for the Arts RRCA Associate Art Show sponsored by CU Maurice River. March 19th 2017 Waltman Park Walk and Clean Up. Please contact Karla Rossini by email at Karla.rossini@cumauriceriver.org or by phone at 856-300-5331 if you are interested in helping. We anticipate that we will once again partner with the Bayshore Center at Bivalve, The Nature Conservancy, Woodford Cedar Run Wildlife Refuge, and PSEG to get Cumberland County 4th graders into the great out-of-doors. Teachers, students, and chaperones will be treated to a half-day outdoors on nearby trails with CU leaders and volunteers, and a half-day indoors at the Bivalve Center with sessions that emphasize “sense of place” and focus on local habitats and species. CU volunteers are needed to help on the outdoor walks and perhaps at a couple of the indoor stations. Please contact Karla Rossini at 856-300-5331 or email karla.rossini@cumauriceriver.org if you are interested and willing! The Abassador Training Party will take place on Thursday January 26th 2017 at 6 p.m. at the Galetto Residence. Folks interested in representing CU at events as well as seasoned representatives are asked to join us for an evening of exchange. Contact doreen.homan@cumauriceriver.org or call 856-300-5331. Bronze Awards – Mary Ann Russell, Sue Fenili, Tony Klock, Peter Galetto, Christine Brown, Suzanne Olah, Doreen Homan, Mary Watkins, Mike Golla, Wendy Walker, and five students from St. Augustine Preparatory School: Jeff Leonetti, Brendan Hughes, Robert LaBraus, Andrew Carpenter, and Nicholas Whiteman. 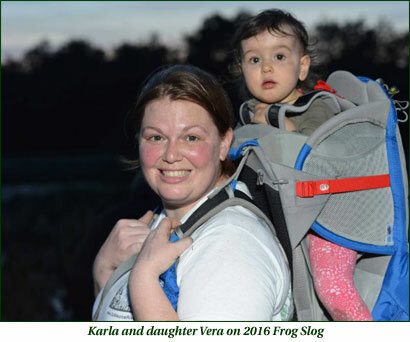 This year volunteers logged 10, 302 tracked hours involving 273 different individuals. The total attendance that we reached at events that we hosted or helped to coordinate was estimated to be 7,000.